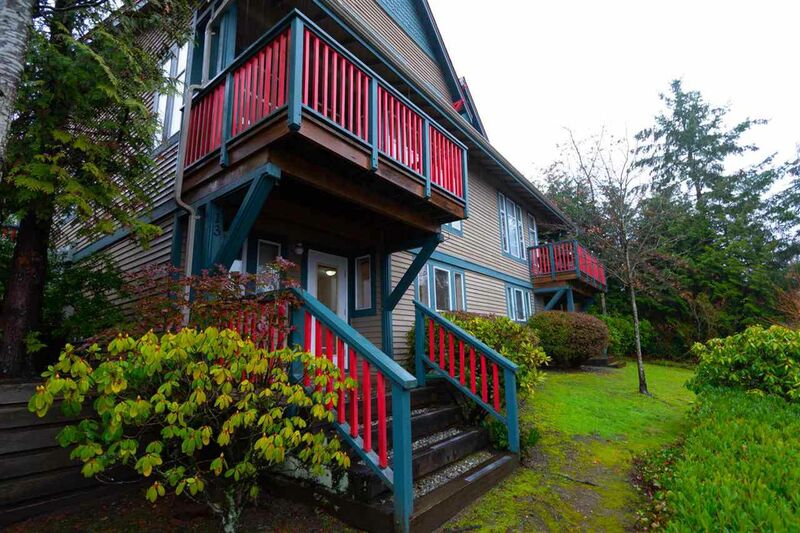 Welcome to this executive duplex style townhome in a manicured close knit complex. Bamboo floors welcome you at the foyer as you enter from the front door or double car garage. A large living room & dining benefiting from a Southern exposure & gas f/p runs parallel to the kitchen & ample eating area w/ access to the back sundeck. 3 bdrms upstairs surround an open flex space area suitable for a den & next to a full washroom w/ a soaring skylight. The master bdrm enjoys the same sunny view to the Fraser River. A walk-thru closet leads to the ensuite w/separate soaker tub & shower. A full lower level offers up a home theatre room, 4th bdrm & office that could double as a 5th bdrm. A patio door that steps out to the back yard is at the opposite end from the 3 piece washroom, massive 12x7 storage/furnace room next to under stairs storage. A quiet residential neighbourhood blocks from Settlers & Skyline Parks plus Castle Park Elementary. Moments to Mary Hill Bypass. 3D tours at Realtor's site.